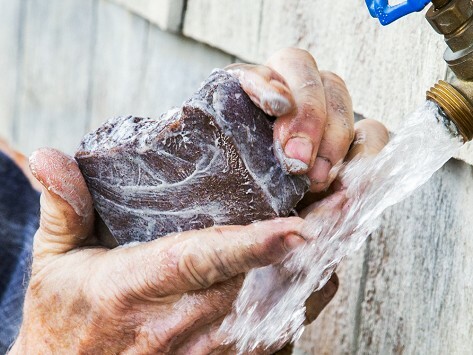 The key to cleaning hard-working hands? Goat milk soap that is handcrafted in small batches on a family farm. This set of made-in-California soaps combines goat milk with other natural ingredients like olive oil and ground walnut shells for exfoliation. The soap gets tough on epoxy, grease, and other stubborn, stuck-on messes while leaving hands moisturized. It’s great for gardeners, mechanics, DIY-ers, or anyone who wants a natural and effective way to wash up. Gave this to my son for Christmas. He works on cars a lot. He said it works well. I expected more of a woodsy smell as it was purchased with guys in mind. It is too perfumed.